Adopted on July 1, 2001. 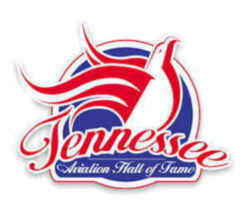 The Tennessee Aviation Hall of Fame, Inc. has found a home, according to Hall of Fame Founder, Bob Minter. 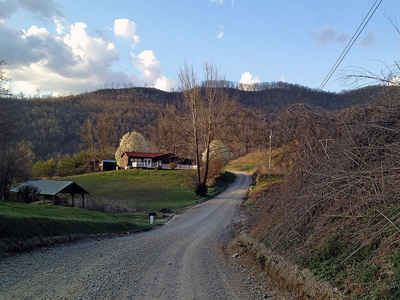 It is located within the Tennessee Museum of Aviation at the Gatlinburg-Pigeon Forge Airport in Sevier County. "Soon after R. Neal Melton, founder of the new Tennessee Museum of Aviation, selected the Gatlinburg-Pigeon Forge Airport as the site for his project. The Tennessee Aviation Hall of Fame's Inaugural Induction Ceremony was on September 14, 2002 at the new Tennessee Museum of Aviation. It was adopted on July 1, 2001. Tennessee's Aviation Hall of Fame was established as a non-profit 501(c)(3) foundation dedicated to preserving aviation history, advancing aviation education, and to honoring those who have made extraordinary contributions to aviation and aerospace for Tennessee, our nation or the world. 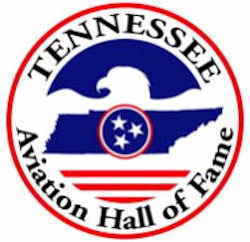 The Tennessee Aviation Hall of Fame, located at the Gatlingburg-Pigeon Forge Airport in Sevier County, was designated as the official state aviation hall of fame by Chapter 78 of the Public Acts of 2001. It opened at its new home, the Tennessee Museum of Aviation, in December 2001. 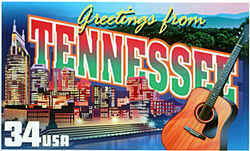 September 14th 2002 was destined to be a historical event in Tennessee's already grand aviation history. This will be the first time ever that Tennesseans who have made exceptional contributions to aviation, aerospace and air transportation have been formally recognized, honored and enshrined in the state's official aviation hall of fame. Tennessee first four members into the Tennessee Aviation Hall of Fame. Evelyn Bryan Johnson the highest-time pilot alive in the world today, with more than 57,000 carefully logged hours. Evelyn has more flying time than any other woman who ever lived, and is today, at age 92, the oldest active flight instructor in the world. William Kershner writes some of the best flight instruction books, but that's not all. He was first a commercial civilian pilot, then a naval carrier pilot, and then a civilian pilot again. He towed gliders, flew parachutists, demonstrated aircraft, and was a personal pilot to William Piper. Late Col. James Haun, retired from the US Air Force. Like Kershner, Colonel Haun had a civilian flying career followed by an illustrious military career followed by a long and productive career as a civilian CFI. When he retired from the military in the 1960s, he became a CFI in Nashville and Smyrna, Tennessee. Fred Smith himself, the fellow who founded and built FedEx. Two years later, the Aviation Hall of Fame and the Tennessee Museum of Aviation were "designated as the official state repository and archive for aviation history." Tennessee's Aviation Hall of Fame is a non-profit IRS 501(c)(3) public charitable foundation established to recognize, honor and enshrine individuals whose leadership in or for aviation, whether by exceptional service or extraordinary achievement, has made an enduring contribution to aviation for Tennessee, our nation or the world. AN ACT To amend Tennessee Code Annotated, Title 4, Chapter 1, Part 3, relative to the Tennessee Aviation Hall of Fame. SECTION 1. Notwithstanding any provision of law to the contrary, the Tennessee Aviation Hall of Fame, which is located at the Gatlinburg-Pigeon Forge Airport in Sevier County and which has been founded for the purpose of honoring aviation pioneers and leaders in Tennessee, is designated as the official state aviation hall of fame. SECTION 2. 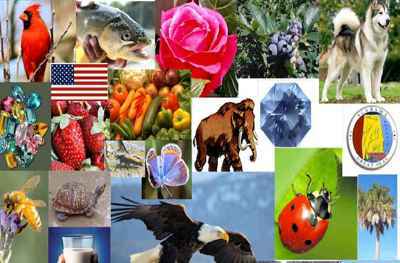 This act shall take effect July 1, 2001, the public welfare requiring it. 4-1-326. State aviation hall of fame. (a) Notwithstanding any provision of law to the contrary, the Tennessee Aviation Hall of Fame, which is located at the Gatlinburg-Pigeon Forge Airport in Sevier County and which has been founded for the purpose of honoring aviation pioneers and leaders in Tennessee, is designated as the official state aviation hall of fame. (b) The Tennessee Aviation Hall of Fame and affiliated Tennessee Museum of Aviation are designated as the official state repository and archive for aviation history. HISTORY: Acts 2001, ch. 78, § 1; 2003, ch. 158, § 1.